How to Use Vegetables And Fruits in Your Weight Loss Diet? The times are changing, and people are concentrating more on their physical appearance. It can be rightly concluded that we live in a so-called “visual culture.” The regular intake of healthy juices from vegetables and fruits can bring about noticeable changes in your body and health. You can explore the different juice benefits and observe the difference in your body by regularly drinking the juices. Everybody yearns to have a healthy body with no excess flab here and there! Many people hit the gym while many others go ahead with a crash diet. However, the simple solution to the ever growing problem of losing weight fast is to try healthy juices for weight loss. Juicing for weight loss is a beneficial habit if included in the daily routine. You need to detoxify the body by regular consumption of juices from natural vegetables and fruits. There are many food residues which remain in the body and lead to unhealthy individuals. Therefore, it is a major step to detoxify the body for effective weight loss. The most common food residues are toxins, unhealthy fats, extra sugars, and calories. Juice benefits are many but juicing once in a while with less physical activity and loads of mental stress won’t be helping in weight loss. For effective weight loss, you need to be stress-free, having a healthy diet, and exercising regularly. Make detox drinks at home using vegetables and fruits as the best way to lose weight. 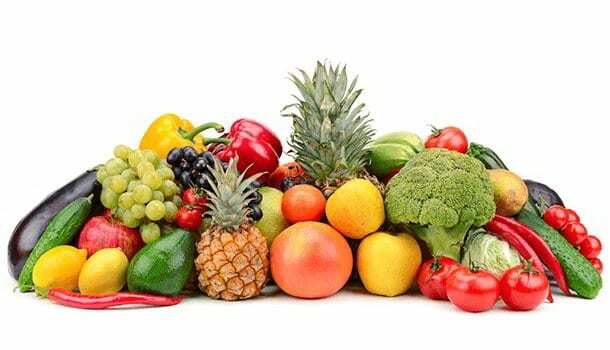 Make your skin and hair healthy by increasing the quantity of fruits and vegetables you eat every day. To Drink Juices Or Have Raw Fruits And Vegetables? It is a common notion amongst most people to have the fruit or vegetable directly and raw. When having the fruit raw, adding any sugar or salt to it isn’t a very healthy option indeed! 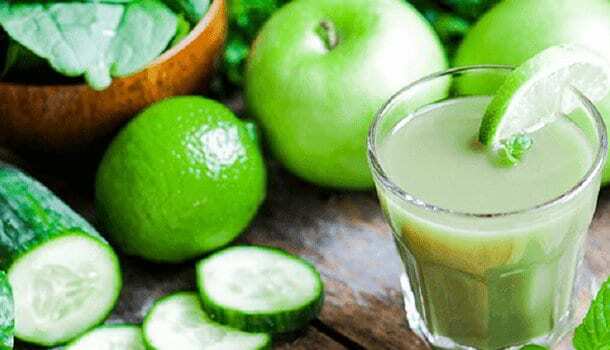 However, it is very important to understand that the intake of the fresh juices will turn out to be most beneficial for the health of an individual. So make you use the juice benefits and incorporate them into your daily routine. 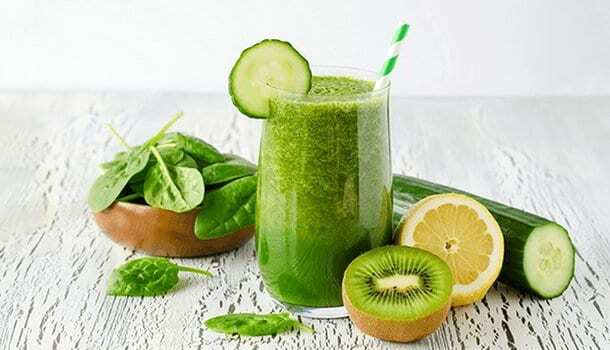 By making juice, you will indirectly increase the quantity of fruit and vegetable intake, in contrast to consuming the solid fruits and vegetables. You can promote weight loss naturally through vegetable and fruit juices because juicing boosts the body metabolisms. Many vegetable juices are popular for helping in the improvement of the cardiovascular health of an individual. Through a decrease in the content of cholesterol in the blood, the cardiovascular activity is improved. 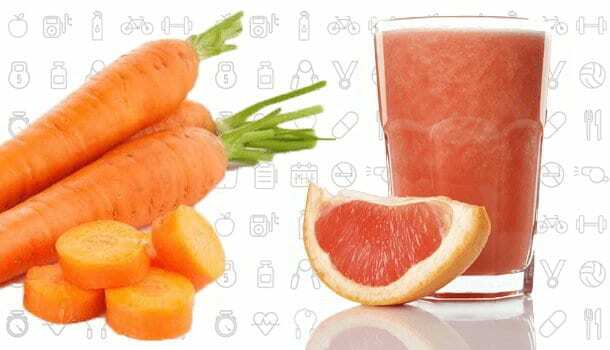 Through the regular intake of vegetable and fruit juices, the chances of cancer are greatly reduced. The content of antioxidants and fiber is increased in the body by the intake of juices. Including juices in the diet for a weight loss regime is a healthier alternative to dieting. Juices keep you well hydrated throughout the day by providing the required energy and keeping you active. There are many health benefits to an individual from the juices of the ‘fruit-vegetable’ combination. You can blend the different vegetables and fruits to give you a healthy drink with a refreshing taste. The fruit-vegetable fusion is becoming increasingly popular with people who are fitness freaks. God has gifted us with many beneficial fruits and vegetables, so make use of them! 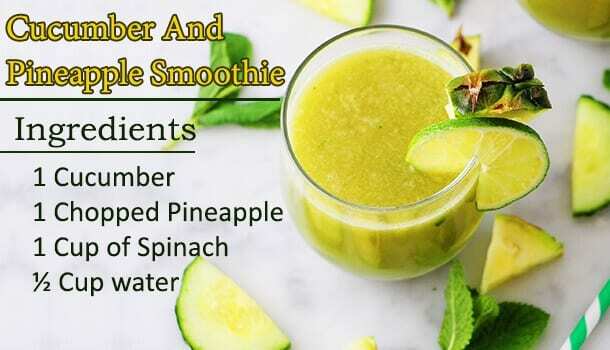 You can experiment with the different fruit and vegetable juice recipes for weight loss and chose the best drink for you as per your taste. Including cucumber in the regular diet is a healthy option for natural weight loss. Regular intake of cucumber reduces bloating and water retention in the body. Cucumber is rich in water and low in sodium content which makes it a very healthy snack to munch on. Kiwi is high in energy, nutrients, and vitamins and low in calories at the same time. Kiwi is rich in fibers which keep you satisfied for a long time. Mint leaves constitute to be an active ingredient in the kitchen. Mint helps in decreasing the food cravings and gives you a refreshing smell. The ingredients turn out to be the best vegetables and fruits for juicing. Peel and chop both the kiwis and cucumber. Add them to the blender along with the mint leaves and lemon. Blend well and consume the juice immediately. Carrot is popular amongst people for its benefits to the eyes and skin. Carrots are a rich source of fiber and low in calories. It helps in facilitating weight loss in an effective manner. Grapefruit, when taken after a meal, helps in cutting the calories, hence incorporated in the weight loss regime. Ginger helps in improving the digestion of food. 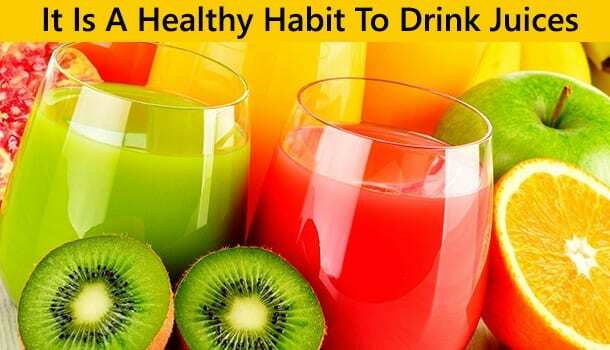 Regular intake of the vegetable and fruit juice will help in losing weight in as less as 2months time. Peel both the grapefruit and carrots and cut into cubes or small pieces. Add all the ingredients to the blender and blend well. Pour into a tall glass and consume immediately. Regular intake of the juice, once in a day is effective in losing weight naturally. People consider raw celery to be a great snack as it is low in calories, rich in Vitamin C and K, Folate, Potassium, and fibers. A combination of celery, cucumber, and apples enhances weight loss naturally. Apples are very healthy for the cardiovascular activity and cucumber is a rich source of water. The juice turns out to be the most refreshing and hydrating one, especially during workouts. Chop the celery stalks, cucumber, and apple into pieces. Add all the ingredients to the food processor and blend well. Pour the mixture into a wide glass and relish the juice with a few drops of freshly squeezed lemon. Pineapple is a popular ingredient in weight loss diet, as it is high in water content and fiber. Intake of pineapple keeps you satisfied for long and helps in suppressing your appetite considerably. Spinach is a green leafy vegetable very beneficial for improving problems such as constipation. Spinach is a good source of iron as well. Hence, making a vegetable and fruit juice with the ingredients is a great way to lose weight. Peel and chop all the ingredients into pieces. Add to a blender and blend well till you obtain a thick juice. The sweet and sour taste of the juice will keep you satisfied for a long time. Bell peppers are a rich source of Capsaicin. It increases the body temperature and accelerates the metabolisms in the body. Apples are very popular as the healthiest fruit amongst all fruits. They are low in fat and calories, rich in fibers and vitamins. Apples are often associated with a healthy heart as they reduce cholesterol in the blood. Wash well and chop both the bell peppers and apple. Add all the ingredients to the food processor and blend well. 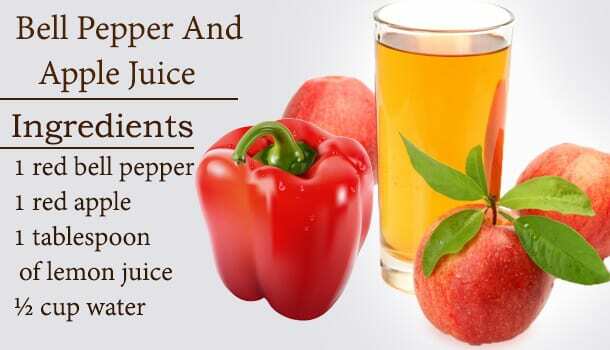 Pour the juice into a tall glass and enjoy the hot and spicy taste of the fruit and vegetable juice recipes today! Now that you are well aware of the many healthy fruit and vegetable juice recipes, check out the one for you. You can experiment with the different flavors and decide the drink you prefer for your weight loss! Crash Diet Or Detox Drinks? Since more and more people are becoming conscious about the way they look, crash diets have become very common. People tend to resort to unhealthy and inappropriate ways of losing weight such as going on a crash diet. Going on a crash diet has many side effects in the long run. It is because the body will end up in sudden deprivation of regular and important nutrients. 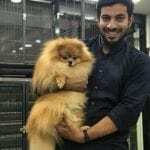 Weight loss is a slow, and time-consuming process and hence requires ample patience. Keeping a check on the intake of calories is a good alternative, but crash diets are never effective. 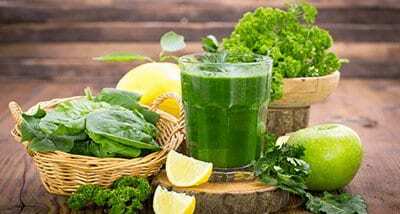 Healthy juices for weight loss using fruits and vegetables can be incorporated into the diet as they have no harmful side effects. Natural vegetable juices or vegetable-fruit fusion can be made to detoxify the body from the harmful residues. 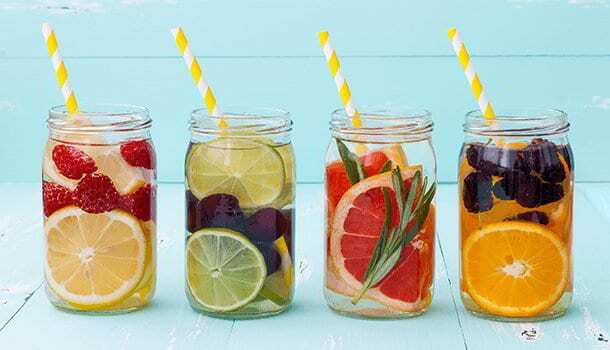 Now that you have understood the harmful effects of going on a crash diet, you can make use of vegetable and fruit juice recipes as a healthy alternative to losing weight. There are many benefits of having either the raw vegetables and fruits or fruit and vegetable juices regularly. Making the skin, face, and hair healthy. Removing bad breath from the mouth. Keeping mouth ulcers at bay. Improving the blood circulation in the body. Protecting the body from regular viral infections such as cold and flu. Strengthening the body’s immune system. Preventing the body from dehydration. Consuming the fruit and vegetable juices in a proper proportion is very important for the overall health of an individual. Excess quantity of anything will turn out to be harmful in the long run. So it is for you to decide the best fruits and vegetables for juicing and the frequency of intake. While most people are turning towards water recipes to detoxify the body, the choice is yours! A vegetable-fruit fusion recipe or plain vegetable juice recipes, it is completely a personal choice and preference. Both vegetables and fruits are equally beneficial for a healthy body. You can experiment with the different recipes and decide accordingly the one that suits your taste. Apart from juicing, it is also very important to have a healthy workout regime.